We see the “pick your partner” principle reflected in disputes over the admission of new members or partners, the unanimity requirement for amendments to an operating agreement, and in the rights of members to be free from interference in the management of the business by creditors. It is also demonstrated in many states by the requirement that mergers and other transactions outside the ordinary course of business have the approval of all of the members. A carefully drawn operating agreement will address the potential for deadlock, either by foregoing the requirement that certain decisions be unanimous, or by incorporating buy-sell provisions that will compel the sale of membership interests if necessary to break a deadlock. Such agreements, however, are often not included in the operating agreements of many limited liability companies, which comprise the great majority of newly formed closely held companies. Thus, not only do the owners of limited liability companies and partnerships have the potential for the deadlock that arises when no side to a dispute has a majority, they must also address the minority veto that is part of the unanimity requirements that are common under many states’ law. Deadlock in the management of a limited liability company is guided by the polestar of any agreement that exists between the parties. The mere inability to elect managers or even the failure to achieve a majority may not be sufficient to secure a remedy from the court. In fact, most limited liability company and partnership statutes make no specific mention of deadlock, per se. Rather courts consider whether the LLC is able to operate according to the terms of its operating agreement and is able to pursue it corporate purpose. In this inquiry, courts examine whether it is reasonably practicable for the business to continue as constituted. The courts will consider whether the purported deadlock prevents ongoing operations in a way that is materially damaging the interests of the members. When a deadlock exists in a limited liability company or partnership, the courts have several available remedies: the expulsion of a member from management, the forced sale of a member’s interests, the dissolution of the entity or the sale of the enterprise. Convincing a court that the level is disagreement has risen to the point that dissolution is warranted can be difficult at time. Mere disagreement and animus between the owners will not suffice. The upshot of the decisions that have granted a petition for dissolution is that a court generally will allow a business that is profitable and operating according to its business plan or operating agreement to continue on, particularly when there is some degree of sophistication among the parties. Decisions in which deadlock is alleged often turn on the definition of “reasonably practicable.” The New Jersey Supreme Court considered what reasonably practicable means in IE Test v. Carroll, a case involving the inability of the members of an LLC to reach agreement on an operating agreement. The plaintiff contended that this inability to agree on the operating agreement constituted a deadlock that made it not reasonably practicable to continue with the minority member, winning summary judgment at the trial level. The Supreme Court reversed a grant of summary judgement, however, holding that reasonably practicable had not been satisfied and, importantly, that the inability to agree on the operating agreement was not a deadlock. Rather, the majority controlled the company and it had continued to operate profitably. The Supreme Court adopted a standard for not reasonably practicable that required the trial court to balance a series of eight factors. The upshot of the decision was that not reasonably practicable means not practically possible. In short, LLC members seeking to expel a fellow member under subsection 3(c), or its counterpart in the RULLCA, N.J.S.A. 42:2C-46(e)(3), are required to clear a high bar. Neither provision authorizes a court to disassociate an LLC member merely because there is a conflict. N.J.S.A. 42:2B-24(b)(3)(c); N.J.S.A. 42:2C46(e)(3).Instead, both provisions require the court to evaluate the LLC member’s conduct relating to the LLC, and assess whether the LLC can be managed notwithstanding that conduct, in accordance with the terms of an operating agreement or the default provisions of the statute. A similar result has been reached by New York courts in cases involving the application of the not reasonably practicable standard under Limited Liability Co. Law. In the seminal 2010 opinion, In re 1545 Ocean Avenue, LLC, the Second Department of New York’s Appellate Division was presented with a peitition to dissove a limited liability company formed to complete a commercial real estate project. The operating agreement provided that any manager could act on behalf of the company and, in fact, one of the two managers had taken control of the ongoing work. The other manager sought to withdraw his investment and when that failed, sued for dissolution. New York’s LLC statute, Limited Liability Co. L § 702, permits a trial court to order dissolution “whenever it is not reasonably practicable to carry on the business in conformity with the articles or organization or operating agreement. The petitioner in the case argued that the members were deadlocked. The trial court, noting that unlike a closely held corporation, deadlock is not an independent basis for dissolution. “Instead, a court must consider the managers’ disagreement in light of the operating agreement and the continued ability of [the] LLC to function in that context.” The ability of one manager to act unilaterally on behalf of the company precluded deadlock. That standard, the court held, was met with proof that the the management of the LLC is unable or unwilling to reasonably permit or promote the stated purpose of the entity to be realized or the continuing the entity is financially unfeasible. Delaware courts have likewise examined deadlock as an aspect of whether dissolution should be granted under Limited Liability Co. Act § 18-802, which provides for dissolution whenever “it is not reasonably practicable to carry on the business in conformity with a limited liability company agreement.” The courts in Delaware consider whether there is a “deadlock at the board level” and whether the parties have contracted for a method of avoiding deadlock in the operating agreement. In addition, Delaware courts consider whether the financial condition of the entity is such that ”there is effectively no business to operate.” See Fisk Ventures v. Segal. We see these factors in play in the Chancery Court’s decision in GR Burgr LLC v. Seibel, an action for dissolution between two 50 percent members. The case involved two entities, one affiliated with celebrity Chef Gordon Ramsey and the other affiliated with Rowen Siebel. Siebel pleaded guilty to a crime, making him an “unsuitable person” to be affiliated with a location at Ceasar’s Palace. Siebel sought to transfer his interest to a trust, but Ceasar’s demanded that the company dissociate itself from Siebel. The court noted that although the standard for dissolution is a high one, it is not insurmountable. The two sides no longer spoke or managed the company, neither held a controlling interest and there was no contractual method in place to break the deadlock. There was no hope that the deadlock might be broken in the near or distant future. In some circumstances, the solution to a deadlock may lie with the expulsion of a member. (”The court-ordered expulsion of a miscreant to negate a claim for dissolution.”) (RULLC Comment § 701). And the fact is that a dissolution petition can be resolved in many circumstances with an order to compel the sale of a partner’s interest. This is particularly the case when a party exercising a minority veto is accompanies by high levels of acrimony among the partners. When the deadlock requires a unanimous action or super-majority, that allows a minority to frustrate the will of a majority on a number of extraordinary issues. Under the RULLC, for example, that includes conduct outside the ordinary course of business or amendment of the operating agreement (RULLC § 407) or the admission of new members (§ 401). Unlike the closely held corporation, deadlock is not considered grounds in itself for dissolution. Courts that are asked to rule on these issues will invariably turn to fundamental questions of whether the limited liability or partnership is able to carry on. 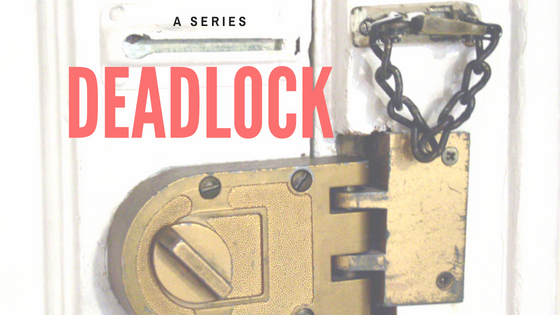 In our final installment on the issue of deadlock, I will take a brief look at contractual provisions that may be used to avoid deadlock, often known as “shotgun” clauses. These agreements commonly permit the parties to a dispute to invoke mandatory obligations to buy or sell their interests.